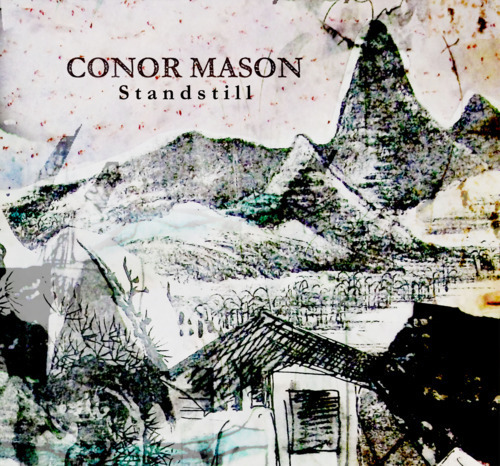 Conor Mason // Pre-order New Album "Standstill"
It’s a pleasure to announce that our next release will come from our latest troop to join the Armellodie force, Derry born, Conor Mason. Standstill will be released on Monday 19th March 2012 and is in fact the third album from the Irish songwriter, with two previous offerings, Let It Unfold (2007) and When It’s Over (2009) suitably home-recorded and self-distributed freely through cyberspace, earning Mason a solid reputation in his native land with a host of television and radio support from BBC Northern Ireland. Standstill retains the mellow, home-grown quality perfected on those records albeit with some new found scope, inherently familiar whilst always remaining fresh and extrinsic. Because we’re so unquestionably generous here at Armellodie, as of today we’re offering you a free download of ‘Words’, a track taken from the album. Mason’s gorgeously nuanced vocals, fragile but beautifully phrased, are particularly well served by the production on this little smasher, sitting right in the centre of the mix, every subtle inflection clear to the listener. It’s a pure peach so say we, get it downloaded for FREE by clicking HERE. But more importantly for us corporate overlords, the album Standstill is available for PRE-ORDER on CD now, coming in lush card wallet with artwork designed by our in-house artist, Cheryl McCann. The Pre-order also includes an immediate download of 2 tracks from the record, the aforementioned, ‘Words’ and the corkin’ opener, ‘Misunderstood’ in your choice of MP3 320, FLAC, or other formats. A link to the complete album will be emailed to you the moment it’s released.